Ascendancy Recruitment Consulting (ARC) offers a variety of individually tailored Recruitment and Human Resource services, specifically designed to avoid incorrect candidate selection and to make the most of your organisation’s human capital. ARC provides Search and Selection services for permanent and contract positions. Ascendancy Recruitment Consulting contracting services gives your business greater flexibility in managing staffing levels and labour costs, relieving your business of superannuation, payroll tax, sick pay, holiday pay, and fixed contracts. 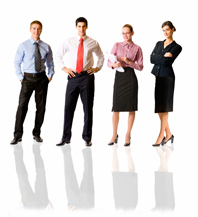 Ascendancy Recruitment Consulting Contractors are suited to many industries. Please contact us to discuss your specific needs.